After his Senate term ended Bruce was appointed to three posts by Republican Presidents. President James Garfield named him Register of the Treasury, a post he held until 1885. 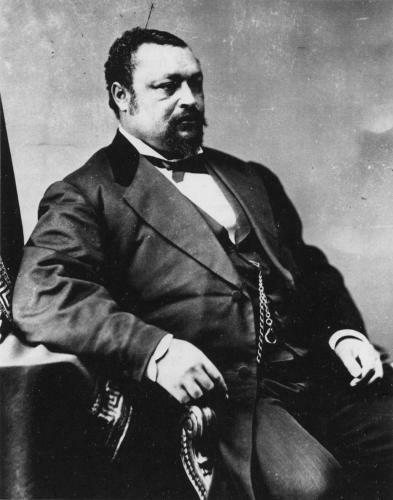 He served as Recorder of Deeds for the District of Columbia between 1889 and 1893 under Benjamin Harrison. When William McKinley became president in 1897 Bruce was again appointed Register of the Treasury. Blanche Kelso Bruce died in 1898 while holding this office. Kenneth Eugene Mann, “Blanche Kelso Bruce: United States Senator Without a Constituency.” Journal of Mississippi History 38 (May 1976): 183-98; Howard N. Rabinowitz, “Three Reconstruction Leaders: Blanche K. Bruce, Robert Brown Eliott, and Holland Thompson” in Leon Litwack and August Meier, eds., Black Leaders of the Nineteenth Century (Urbana: University of Illinois Press, 1988), pp. 191-217; and Samuel Shapiro, “A Black Senator from Mississippi: Blanche K. Bruce (1841-1898).” Review of Politics 44 (January 1982): 83-109.